With Christmas just round the corner, we are offering you all a fantastic Lyle and Scott Discount Code. We know that Christmas can be tough on the wallet, so we at Apacheonline are giving you all a fantastic 10% Discount on all New Season Lyle and Scott Styles. Simply enter LYLEBLOG at the checkout of Apacheonline.co.uk to receive a brilliant 10% Discount on all New Season Styles from Lyle and Scott. Bellow we will feature a few items to tickle your taste buds and don’t forget to use LYLEBLOG at the checkout to save yourself 10%. 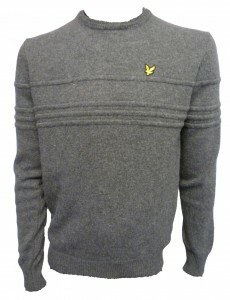 This is the stunning Lyle and Scott KN004V02 Crew Neck Ottoman Rib Knitwear which is ideal for the chilly weather right now. Crafted in Italy from a soft lambswool mix fabric, this will keep you warm and looking great this season. 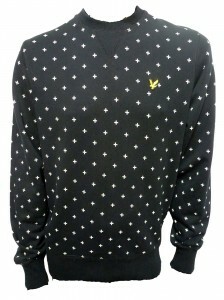 Next up is the Lyle and Scott ML004V02 All Over Cross Stitch Print Sweatshirt. Made from a quality cotton loopback sweat fabric and striking cross print detailing, this will definitely get you noticed. 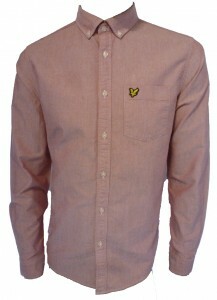 Lastly we have this classic shirt from the lads at Lyle and Scott. The LW015V22 Oxford Shirt is crafted from a soft cotton oxford fabric and features the all important yellow eagle branding, this will be ideal for Christmas Day with the family. Don’t forget to use your Lyle and Scott Discount Code too! As well as giving you a great 10% Lyle and Scott Discount code, we also have some fantastic deals in our Pre Christmas Sale Event where you can save up to 50% off many lines including a few styles from the lads at Lyle and Scott. So, head on over to Apacheonline.co.uk and take a look at our brilliant selection of Lyle and Scott, and don’t forget to use code LYLEBLOG to save yourself a fantastic 10%. May we take this opportunity to wish all our customers a very Merry Christmas and a Happy and prosperous 2014.